Scenario: A new curler joins a club, has to navigate the new environment alone, receives minimal formal instruction, and is thrown onto a team of strangers not used to playing with a beginner. Will the newbie stick around for another season? Not likely, but that’s often what happened. 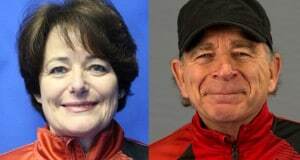 About nine years ago, the Ottawa Valley Curling Association (OVCA) with help from esteemed coach Earle Morris and Anna Keller, Getting Started Coordinator and Canadian Curling Association consultant, created a pilot program starting at the Ottawa Curling Club, which has now evolved into a well-oiled machine and spread to many clubs throughout the Ottawa Valley as well as across the country. 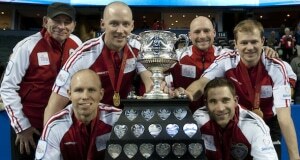 “We wanted to offer an enhanced experience for new curlers,” explains Morris. The enhanced experience, called Getting Started in Curling, offers a full-year program for newbies, with a set curriculum, including tonnes of on-ice instruction, even during game play. “People get better when they receive lessons,” Morris points out, adding many of the curlers coming out of the program get so good they’re often both admired and sought after by other leagues within the club. “Give people a positive experience and they’ll come back,” said Morris. Contributing to this positive experience are components such as a greeting from the Club Manager, a guided tour of the club, personalized club name-tags, a Christmas party, consistent commitment from passionate and enthusiastic instructors, video analysis, a satisfaction survey half-way through the season, as well as a league executive made up of Getting Started curlers. “Having a fun and positive experience turns out to be key to decreasing beginner attrition rates dramatically,” enthuses Morris. 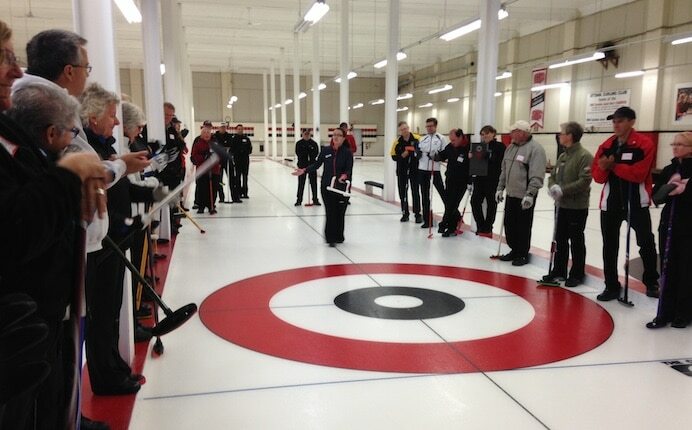 To date approximately 400 new curlers have passed though the Getting Started program at the Ottawa Curling Club alone. The staggering number of beginners and program graduates could never have been predicted. New curlers in the region have a chance to get to know other clubs in their area by playing in bonspiels tailored especially for them. There are U2 bonspiels (U2 stands for “Under two years’ curling experience”), which run at various clubs throughout the Ottawa Valley. There are also Colt Bonspiels running at various clubs during the season, which are tailored for beginner curlers with less than six years’ experience. Knowledge that these bonspiels are just for beginners keeps the playing field level and gives new curlers the comfort and confidence to enter and find out what bonspieling is all about. According to Morris and Keller these spiels are especially fun to watch as the beginners, having no pre-conceived notion of what a bonspiel must be, bring incredible enthusiasm, spirit, and excitement. Often they show up in fun team outfits and bring cheering squads of followers to watch. 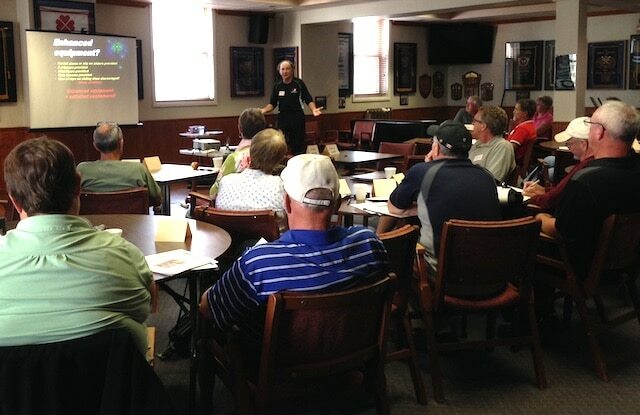 During a CCA Business of Curling seminar, Elaine Brimicombe, Past President of the Ottawa Valley Curling Association (OVCA), thought of an improvement to the Getting Started initiative: an official program called Train the Trainer to prepare would-be instructors to teach the Getting Started package. The training session would go through the entire curriculum so instructors are all on the same page when it comes time to teach. Keller and Morris both embraced the idea, seeing it as a wonderful enhancement to their program. This is especially important because, while the same group of instructors comes every week, curlers will not always be with same instructor every week, so it’s important they don’t contradict each other and confuse the curlers. The Train the Trainer program also makes the instructors more comfortable with the material and better able to understand what they’re committing to for the season. Another important factor when it comes to keeping consistent instructor commitment to Getting Started is paying instructors an honorarium. While the honorarium isn’t a huge amount of money, it’s more than enough to show instructors they’re appreciated and to raise the level of commitment. According to Brimicombe, clubs in the OVCA area wanting to run Getting Started programs at their clubs can access a $500 Kickstart Grant to use as they wish to get the program up and running. Clubs can use the money to cover instructor honorariums, or name tags, or ice fees, or equipment, or anything else they might need to get going. To obtain the grant, the OVCA requires the club have a season plan for the program and offer a Train the Trainer session to the instructors. After the initial infusion of cash and the start of the program, “curling club boards can see the benefits of Getting Started. The retention rate is high. 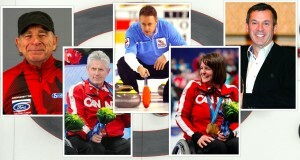 Eight out of ten are going to stick around,” said Brimicombe. So far the Kickstart Grant has helped ten area clubs and Brimicombe hopes to see more clubs come on board in the future: she’s seen many clubs go from struggling to thriving in a couple of seasons just by offering the Getting Started program. 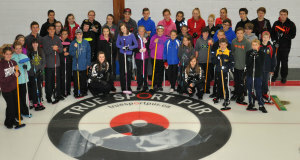 She offers the Pembroke Curling Centre as a great example of Getting Started working its magic. At one time their membership was down in numbers and they were keen to try Getting Started. The club took the time to advertize and market the program within the community and recruited a wonderful group of instructors. Soon they had not one but two Getting Started leagues and a waiting list for not only new curlers but would-be instructors, too. 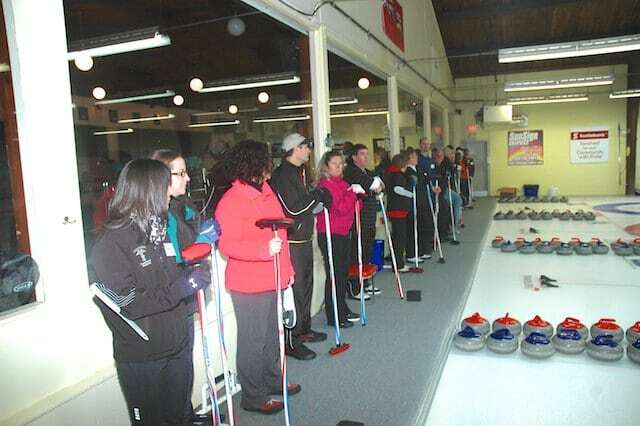 Brimicombe enthuses that the OVCA is committed to funding new Getting Started programs in the region, bringing in more and more new curlers and ensuring there are leagues for the beginners to transition into once they’ve completed their time in the Getting Started league. “(Getting Started) brings a lot of great energy to clubs,” she says, wanting to spread that energy all over the Ottawa Valley. 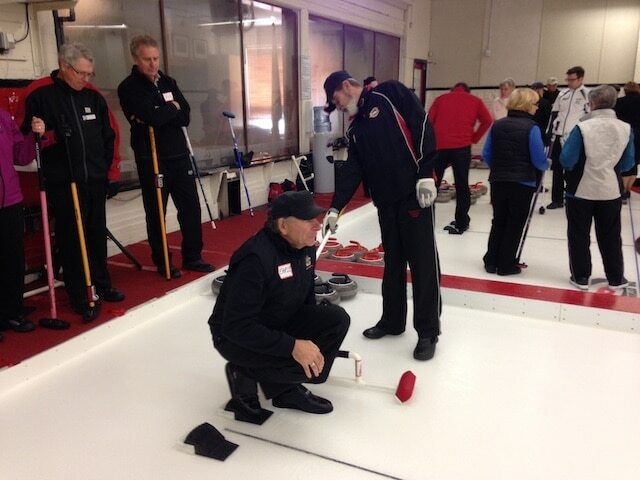 By using the new Getting Started sample curriculum, everyone can begin to leverage this wonderful beginner energy and infuse their clubs with new curlers for life.